Our third day in Boston we decided to venture out to Lexington and Concord. 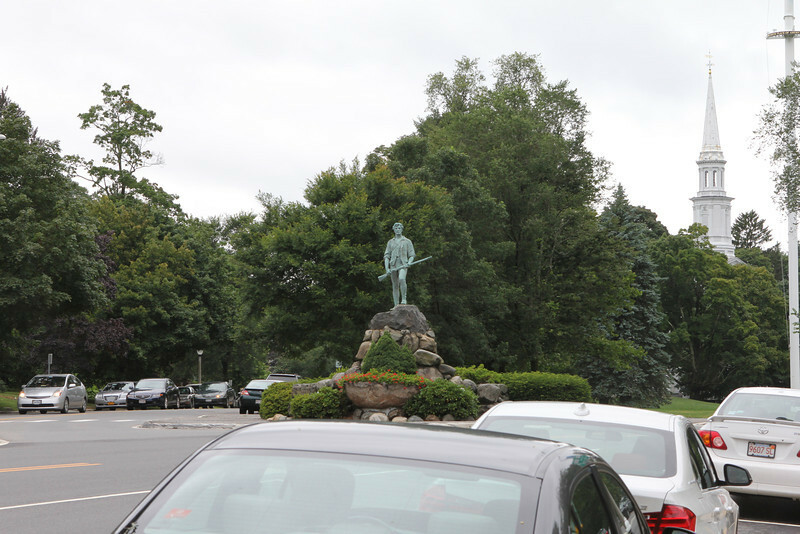 After a slightly longish subway ride followed by a bus ride we stepped out onto the streets of Lexington and made our way to the Visitor's Center. Since we didn't have a car we were counting on the Liberty Ride Trolley Tour to make all our historical sightseeing dreams come true. We soon realized our (my) expectations may have been a bit high. Not to knock the trolley tour, but they advertise it as hop on hop off, so that's what we planned to do. Until we talked to the colonial period bedecked man selling the tickets about getting off the bus at Louisa May Alcott's house (Orchard House) and Minute Man National Park and he dashed our (my) hopes by explaining that we'd have to wait at each stop for at least an hour and a half for the next trolley tour (there's only one trolley) and then finish the tour. So theoretically we could be trapped in Lexington Concord all afternoon and none of my people were the least bit thrilled at that possibility. Plus he told us that the trolley doesn't really stop at Orchard House on its way back to Lexington (opposite side of the street) and we'd have to wildly wave our trolley brochures on the side of the street so the trolley would see us and therefore pick us up. That sounded sketchy along with time consuming, so even though I really wanted to tour Orchard House and the Minute Man Park (mainly so Annelise could see the film and hopefully retain a bit more understanding about the battles) I let those dreams die. 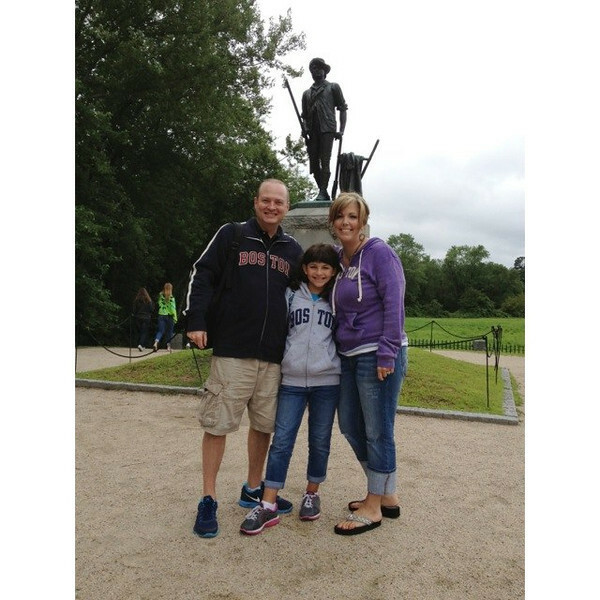 Note to self: You need a rental car to really see all the sights in Lexington and Concord. So we (I) resigned ourselves to staying on board the trolley and listening intently to all the details our colonial bedecked tour lady shared. And (slap me) I didn't take many photos (because we were always moving on the trolley). Paul Revere's famous ride was to Concord to warn the colonists that the Regulars were coming, although he was arrested before completing his journey (William Dawes and Samuel Prescott were also riding with him, though not mentioned in Longfellow's famous poem, Samuel Prescott was the only one able reach Concord). 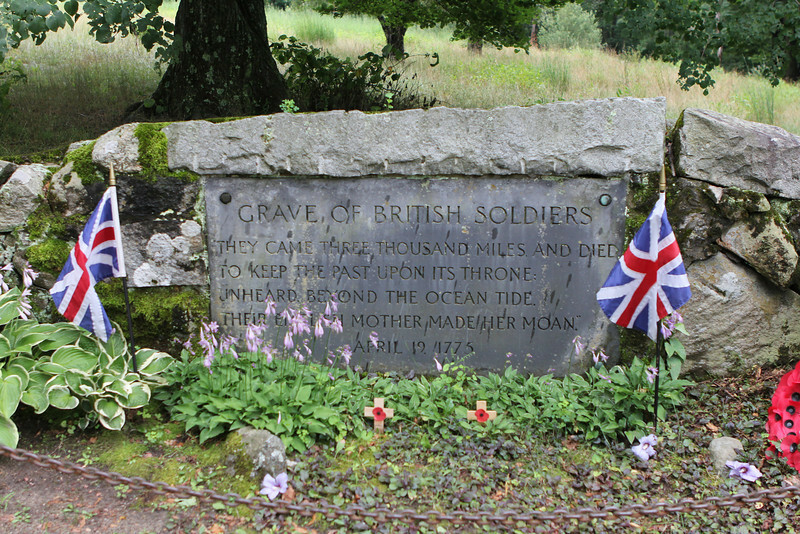 The first skirmishes of the American Revolution between the Regulars (the British, although they were all technically British citizens) and the Colonist militias happened in Lexington and then in Concord in April of 1775. 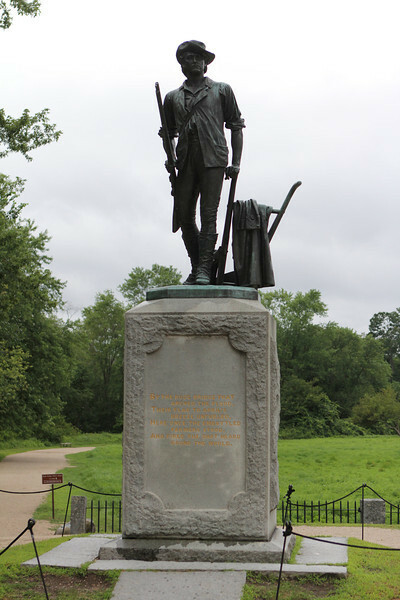 The first shot of the Revolution was fired (not sure which side fired first) in Lexington and then the first time the colonist militia was commanded to fire was in Concord at the North Bridge. We did get to walk around at the North Bridge. And yes, we're all sporting sounvenir Boston hoodies because it was in the low 60s again. 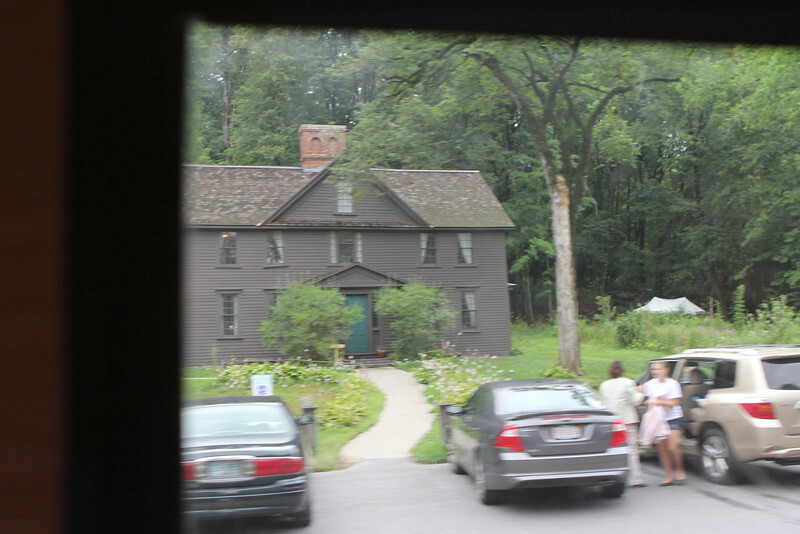 And (sniff, sniff) I only took two drive-by photos of Louisa May Alcott's house. So while we enjoyed our trolley tour, and our guide was wonderful, a veritable fountain of historical stories, there was a ton of information and many, many sights to absorb in 80 minutes, so some of the trivia and Very Important Places began to blur near the end. 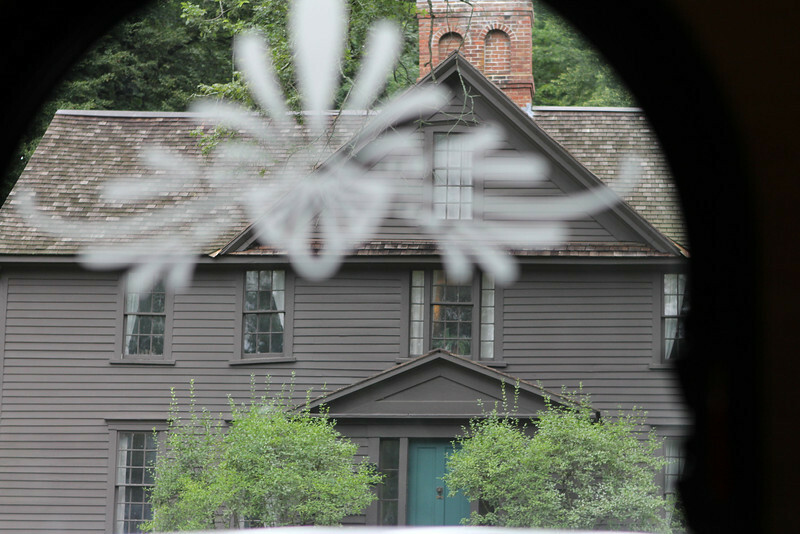 There's a LOT to see in this area, not only sights related to the American Revolution but so many writers and artists lived around Concord, I'd love to go back someday and really *see* everything. 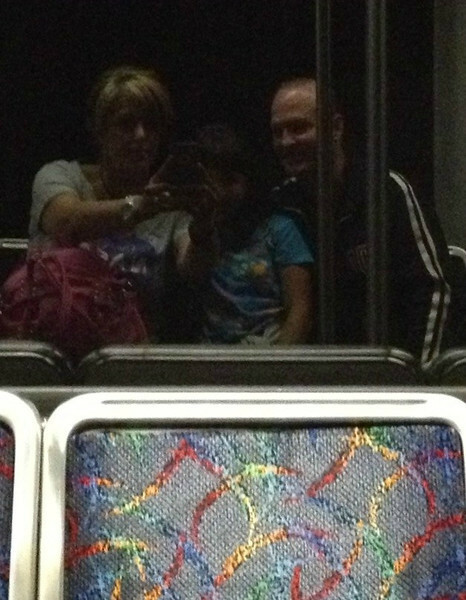 We took a subway reflection selfie on our ride back into Boston. 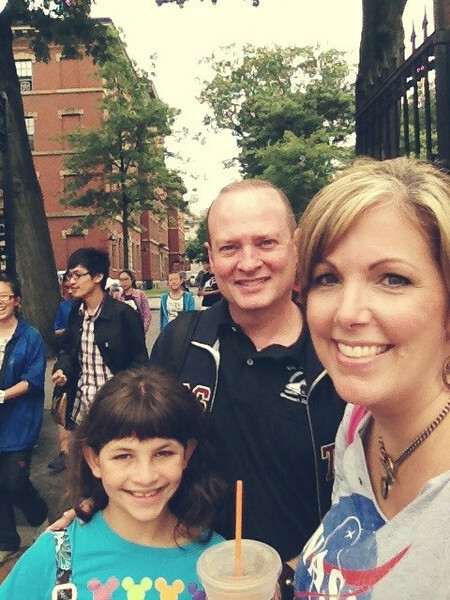 We stopped at Harvard (as you do) to walk through the campus. And, again, I didn't take any photos (except for a selfie at the gates) (I don't know what was wrong with me), but it was fun to walk around on the Harvard campus and imagine all the famous people that have done the same when they went to college there. 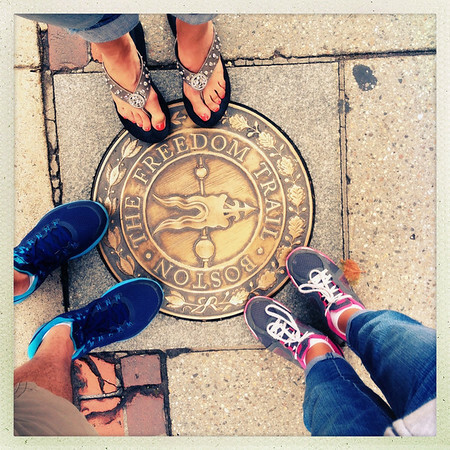 We had a mini Freedom Trail walk (a preview for the next day) as we walked from Boston Commons to the North End for supper. We were almost to Little Italy when it started raining, so the search for a place to eat became more desperate. We looked in windows and gazed at posted menus but everything seemed a bit too fancy for our rather bedraggled wet dog selves. Some restaurants were too crowded or there was a line and some were empty and the owners and waiters were hanging out on the stoop so we kept walking and looking. I asked a policeman where we should eat but his two suggestions were too fancy for us (people were dressed much nicer than we were inside). I finally asked a fireman where we could get good pizza in a place that was casual which led us to the nearby Pushcart Pizza Bar which was a tiny hole in the wall but Annelise declared it to be the best pizza she's eaten in her entire life. Of course, how hard is it to make pepperoni pizza? But, yes, it was delicious pizza (we had half pepperoni and half sausage, artichoke and mushroom) and it was absolutely delightful to get out of the rainy drizzle. I didn't even mind that my Diet Coke was served in a can with a straw (well, maybe a little). 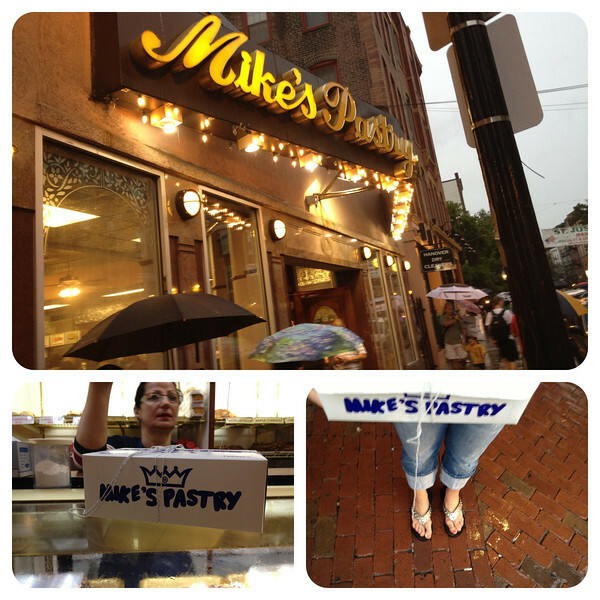 On our walk back to the subway we stopped at Mike's Pastry for cannoli. 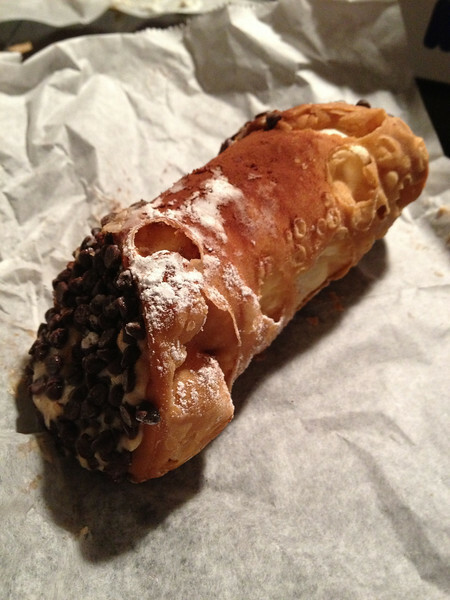 Scott ordered a chocolate mousse cannoli, Annelise got chocolate dipped and I got espresso. I carried that twine wrapped cardboard box through the rain back to our hotel like it was precious cargo. I savored every crumb and powdered sugar sprinkle of that cannoli. Amazing. Is what it was. Annelise only ate the ends (where the chocolate chips were) of hers. As we emerged from the depths of the subway we saw this behind our hotel. 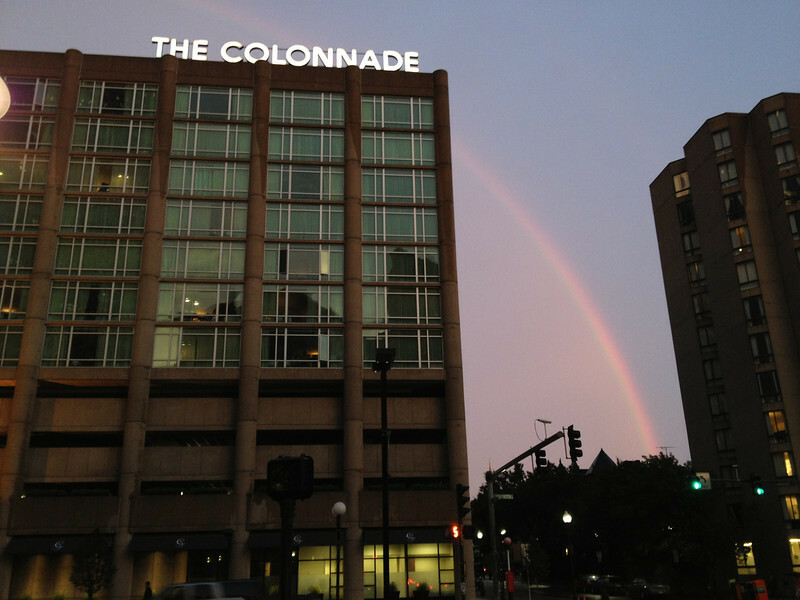 A perfect ending to our day.